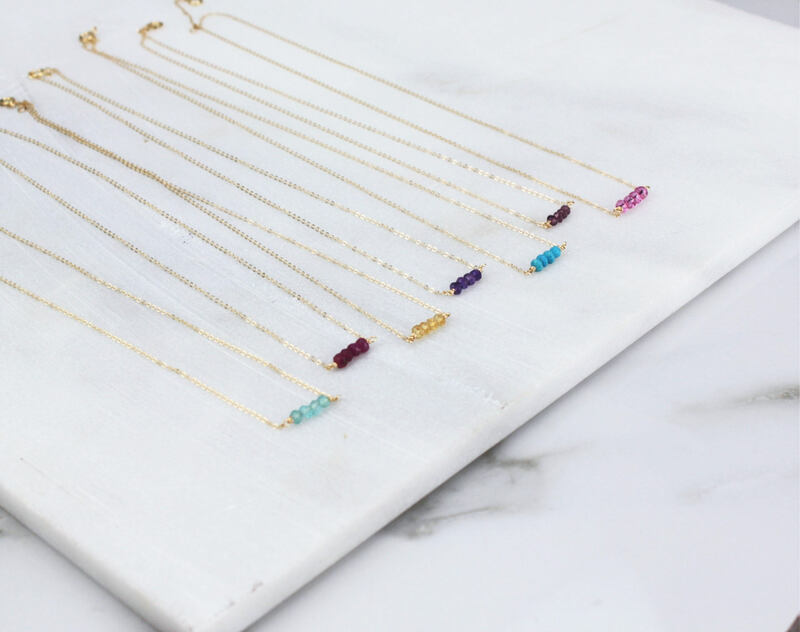 Add a touch of color with our dainty gemstone bar necklace. 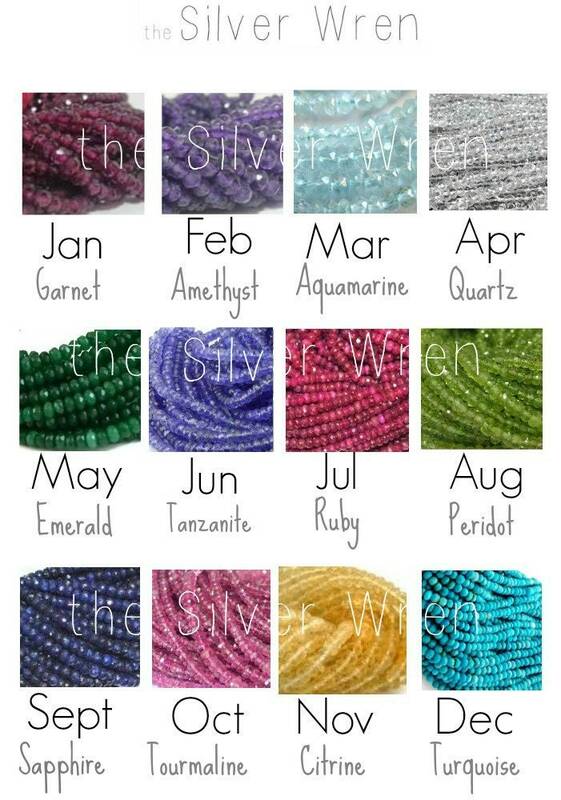 Wear your birthstone or your favorite color. 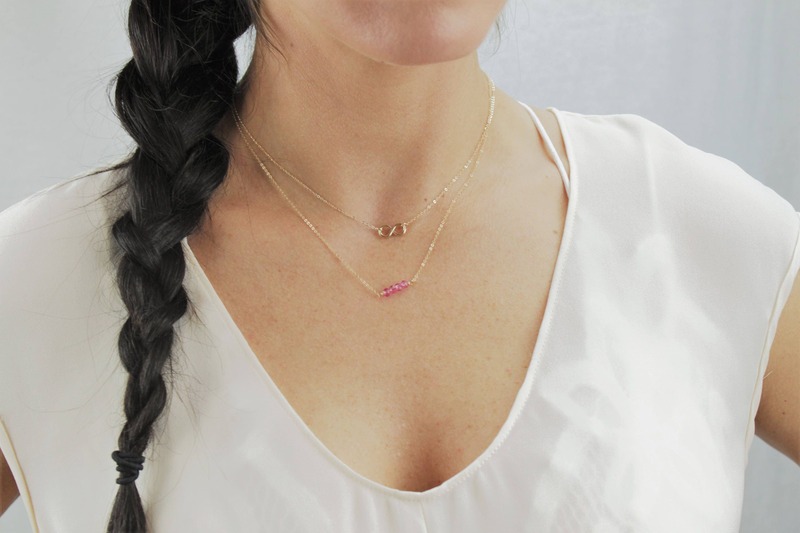 Customized with your choice of stone, available in 14k gold fill, rose gold fill or sterling silver. 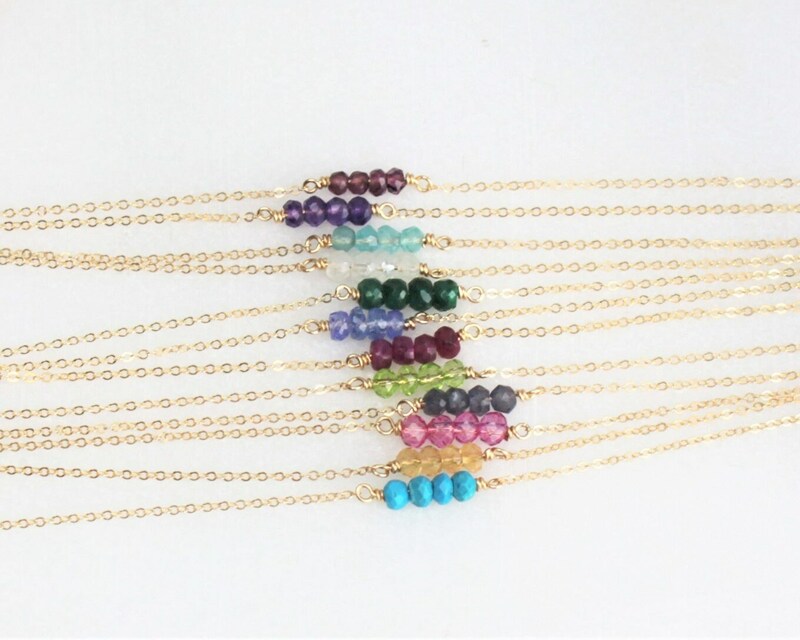 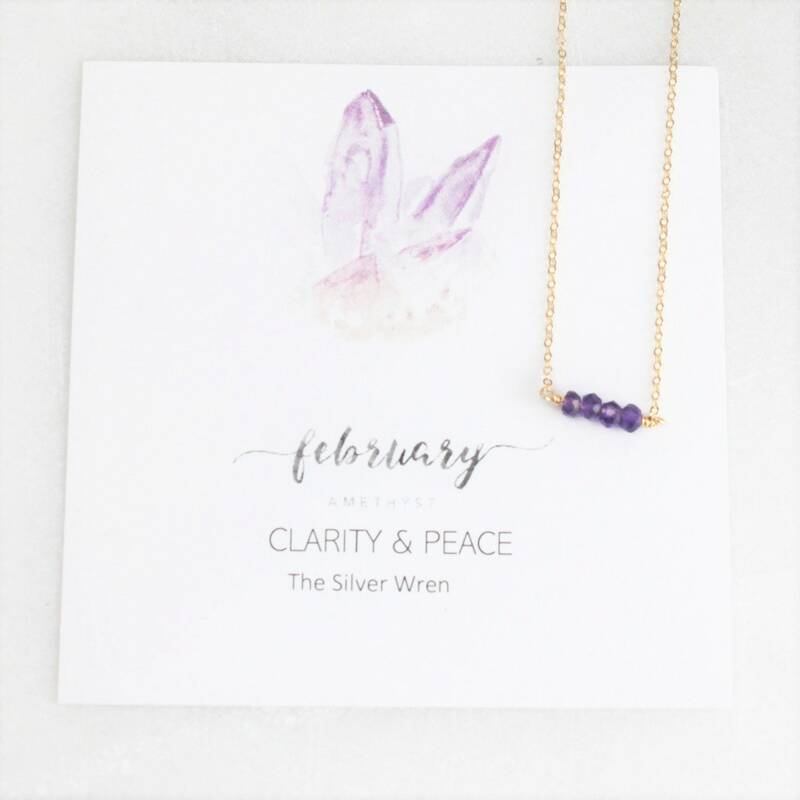 Dainty enough for everyday, wonderful for layering and makes a meaningful gift! 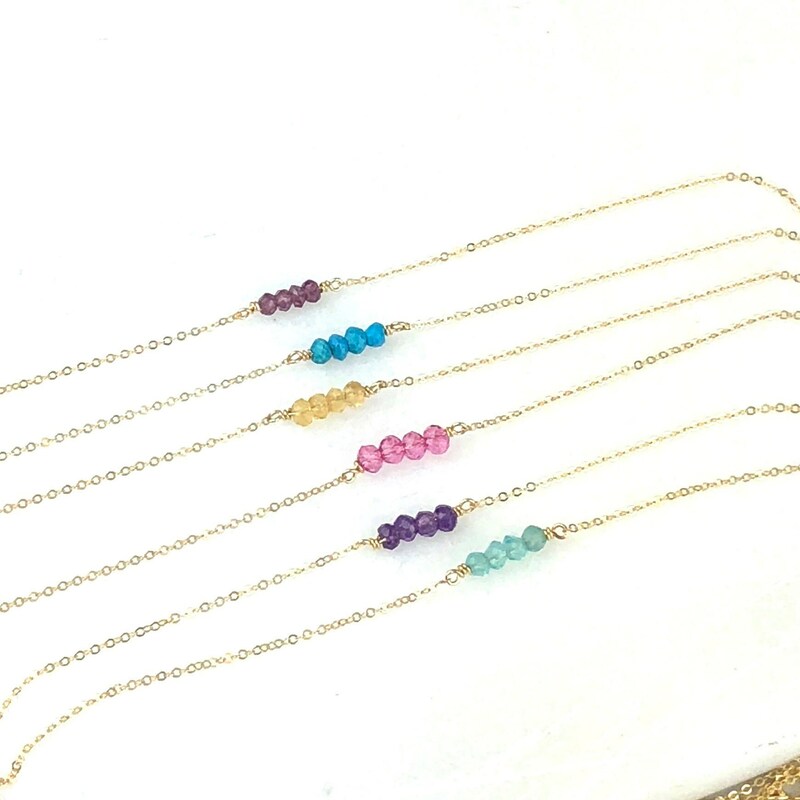 -Listing is for one dainty gemstone necklace. 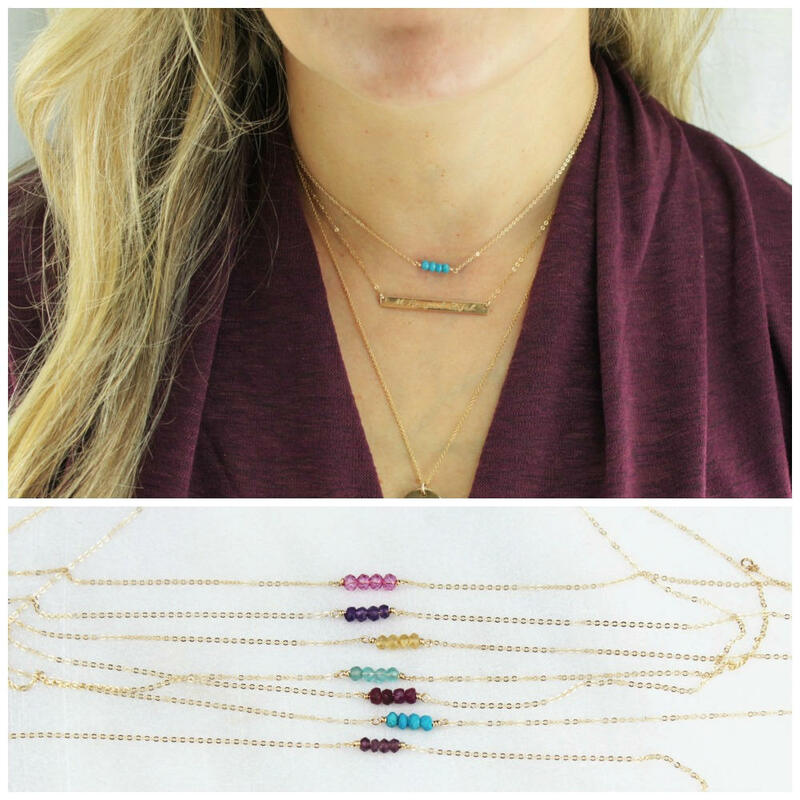 - Model is wearing 18" in Photo 6 and 14" in photo 4. 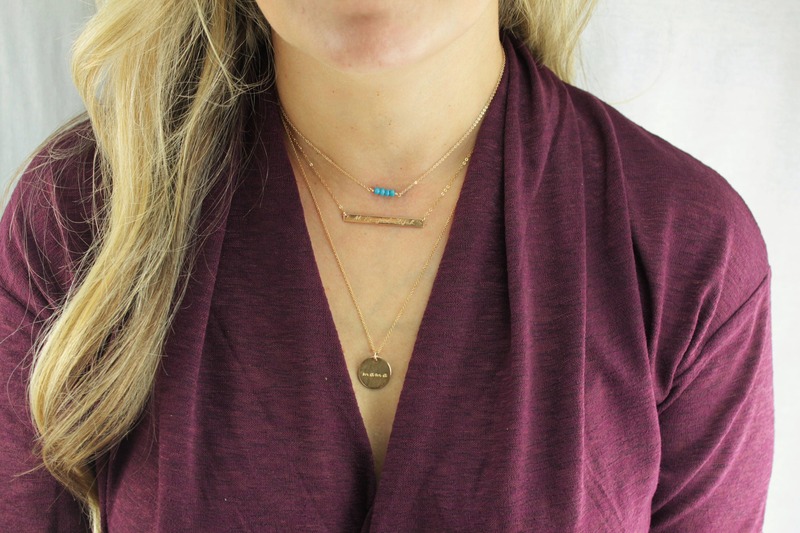 Long gold bar at 16"
Disc necklace - 16mm- at 20"